There are hundreds of good SEO companies in the US. But choosing the right local SEO company amongst them can be a daunting task. The evaluation procedure to find the best local SEO services involves quite a few evaluation procedures. So, we decided to simplify this task. Here in the table below are top 50 picks for local SEO companies in the USA. ClickFirst Marketing is a digital marketing agency with a diverse client base including answering services, non-profits, lawyers, healthcare providers and clothing brands. Our team consists of professionals who work to provide clients with affordable and effective marketing solutions. Victorious SEO is a dedicated SEO company in the US and is the #1 SEO services provider on our list. With a data-driven approach to optimizing websites, the team uses thematic and semantic methods in their keyword selection and are famous for implementing comprehensive on-page optimization. 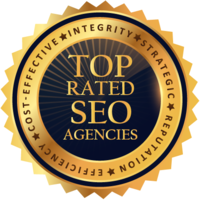 Repeatedly recognized as the best Chicago SEO company, 97 Switch is known for developing a unique image that fits a client’s purpose and brand personality. They work closely with clients to understand their needs and take suitable action. With customized SEO strategies for every client’s unique business goals, based on their reliable ranking services, Higher Visibility is the best SEO company in the US. They have served and satisfied hundreds of clients, from small businesses to Fortune 1000 companies. Directive Consulting is a premier LA SEO firm with offices in Orange County and NYC. The agency is well known for providing custom-made SEO services for B2B businesses and enterprises. Each client gets a dedicated team of professionals that delivers proactive updates. A San Diego SEO company with numerous awards and accolades for being the best SEO and local SEO company, Ignite Visibility has served over 150 satisfied clients, big and small, with their custom, high-end SEO strategies. Founded in 2009, Cardinal Digital Marketing has become one of the fastest-growing Atlanta SEO companies. Aiming to cultivate long-term partnerships, they base their operations on data and insight, ensuring a great ROI. Since 2004, Black Bear Design has been a premier Atlanta internet marketing company that delivers innovative solutions backed up by thorough research. Moreover, they make regular reports to demonstrate how their solutions achieve clients’ goals. LSEO has excellent rates for the level of high-quality work they offer. Their team is always looking for tactical improvements, and they are open to all forms of communication. Besides professional and innovative SEO services, LSEO is flexible to strategy modifications. Over the Top SEO is collaborative and offers invaluable suggestions. They are experts in correcting your basics. Additionally, the company specializes in reputation management, local and on-page SEO. With Over the Top SEO, you will receive creative strategies and professional execution. Established in 2003, Digital Current offers SEO in Phoenix to anybody with an online presence that wishes to improve their visibility. With customer service at their heart, clients are in safe hands at all times. With their good communication and collaboration with clients, 180 Fusion bagged the likes of ESPN magazine, Papa Johns and Residence Inn as their clients. With their high impact ROI generating strategies they can be a good Local SEO partner for any type of local business. SEO Locale was started in 2015 by digital marketing experts who have over 15 years of experience in this industry. As a full-service digital marketing agency, SEO Locale offers specialized local SEO, web design and development, paid search management, and more. Boasting over 236 satisfied partners, Search Bloom works on the principle of “partners, not clients.” With their extensive experience in local, data-driven, and ROI-focused SEO strategies, not to mention e-commerce and regular SEO services, Search Bloom is one of the best SEO companies in the US. Coalition Technologies has a highly organized team of SEO experts that are focused on results. They are agile enough to respond to shifting requirements, as well as promptly delivering project objectives. Additionally, Coalition Technologies provides consistent and effective communication. Wojo Design is a full-service digital agency focused on delivering outstanding results with great ROI. The small, agile, passionate team identifies clients’ primary goals and comes up with creative programming, smart online marketing, and personalized web design to achieve them. Boostability is an award-winning SEO agency that serves over 32,000 clients operating as e-commerce, local, or multi-location businesses. With a variety of affordable and effective SEO services, Boostability can enhance branding, organic search rankings, and engagement. Combining knowledge and experience, Operation Technology’s agile team understands clients’ goals and delivers cost-effective marketing solutions that support their marketing initiatives and keep their businesses running smoothly. Additionally, they offer competitive pricing and consistent results. Sachs’ in-house SEO team delivers results, ensuring high ROI. They provide innovative strategies, employing methods that are beyond the scope of “normal SEO.” On top of it, each client gets access to a specific online workflow account to monitor the daily progress and reports. WebpageFX is known for their insightful suggestions and transparent communication. Additionally, they offer thorough and comprehensive analytics reporting, as well as, exceptional customer service and frequent status updates. Operating since 1997, with full-time in-house teams and operations in eight major US cities, Straight North provides a wide range of SEO services for small and mid-sized companies operating under both B2B and B2C business models. As mentioned earlier, finding the best agency is complicated. We followed a meticulous procedure to analyze each and every one of the local companies presented in the table above. We will explain our evaluation procedure because we want you to be able to do your own research and make a more informed decision when choosing a local SEO firm. Let’s cut the chase and get into the real business. Help the company run the strategies smoothly. The local SEO company that ranks best on Google isn’t necessarily the best in terms of conducting SEO services for your business. Look at it this way: the best in the industry are probably already busy optimizing their clients’ websites, so they don’t manage to optimize their own. The city’s specific characteristics and its cultural aspect can help in the execution of the strategies, as well as organizing some local events. However, the events and core SEO principles the company follows are far more important. The price of the services offered by the SEO company doesn’t necessarily indicate that it is a good or a bad company. It’s important that the company explains what will they do, how much time will they spend, and how much will that cost you. Marketing tactics like webinars and presentations are not necessarily bad, but making a decision solely based on them is not the way to go. And often local SEO agencies promote themselves with some “secret SEO sauce” for better rankings. Never fall for that! The reality of SEO is executing good strategies that align with big-G’s norms, and there’s no such thing as a secret weapon. The first step in choosing the best local SEO companies is reading their customer reviews. Whether the reviews are from real people. Look for reviews written by someone with a real name, style, and personality. How positive is the company? The SEO company that has a good reputation is more likely to live up to your expectations and deliver the best SEO services and positive results. Whether the company has experience in your niche. Choosing an SEO company focused on what you need is crucial. Whether the reviews are just from happy customers. Every company will have at least one negative review (even the best ones). If all reviews are positive, they have been most likely curated by the company. Whether there are any potential issues. Look carefully whether customers mention issues with a specific service. If such issue appears repeatedly, it’s time to start looking for another company. How is the company responding to complaints on the forums? A good SEO company should give its brand a voice but never attack customers who complain about it on a public forum. Looking at the agency’s sample reports will help you understand what types of businesses it serves and what techniques it employs. They contain specific examples of the company’s performance, proving their expertise and skill. Look how experienced the agency is in working in your niche. The reports will show exactly how the company helped other SMBs achieve the desired success. If the agency’s sample report spans across a wide range of industries, check its success rate. If the previous experiences show good results, it means that the agency is versatile and has the ability to adapt. From the sample reports, you can get the bigger picture of the company’s transparency. You can see how ready they are to adapt the campaign to the client’s changing business and be honest about how they’re going to get your website ranking. The documented reports show best how successful the SEO company is. Reading about their previous work and the success rate will help you develop a more informed opinion. When checking the company’s case studies, you can look for clients who had similar business models and goals as yours. The records will show how creative their strategies have been and what approach did the company take. Case studies will give you an idea of how the company organizes the work; what’s their first step and how they proceed after that. Apart from the strategies, it’s important to know the efficiency rate of the company. Case studies will uncover whether the client’s goal was successfully met and what improvements were implemented. After these basics of evaluation, we go to the technical aspects of the shortlisted companies. Backlinks used to be key players back in the past. Today, they are just one of the many influential factors. There are quite a few small unprofessional local SEO firms out there that are running businesses revolving on the concept of building blog networks, getting crappy links with automation, buying packages from forums, and buying guest posts or another form of links. What to Remember: TF and CF are not metrics to rely on because Google is much smarter than these tools which aggregate the data. how genuine the websites are (whether the website or blog belong to a real company or a blogger). There are a few white hat methods which can be used. We also take into consideration the variety of links because having only one method to get links is not healthy; the more – the better. We’ve removed all local SEO companies that use spammy methods to build links and those that focus their strategies on link building only. They are not real SEO companies but rather link building services. We only listed companies that follow white hat methods, make their links look natural and have multiple ways to build links. Choosing the right keywords can help you rank higher in search results. Keywords in your domain name or the URL of a page also play a role. However, you cannot always rely on tools for keyword research in local SEO as the industry standard keywords are not typical and usually get lost between low volume searches in tools. What’s more to it – some keywords are so industry-specific that even tools cannot pick them up! Is the SEO company really aware of things like LSI and local keywords? Another important thing to consider is whether the company you choose is proficient in local keyword research and the ever changing trends in keyword inclusion after algorithms updates. The LSI keywords, also known as supporting keywords to the primary keywords, are important as they help Google determine the content and quality of what’s on your website. We have only listed companies that showed the ability to optimize the pages for LSI keywords. Citations are one of the most influential local SEO ranking factors in Google – the number of citations your business accumulates, as well as the accuracy of the data they feature, signal to Google that the website can be trusted, which boosts the chances for ranking well. Aside from that, citations themselves also have a positive impact on consumers. Accurate citations help people discover your business which will ultimately result in increased traffic and conversions. So, naturally, our next point of evaluation is to discover whether the company is good at optimizing the website with citations. 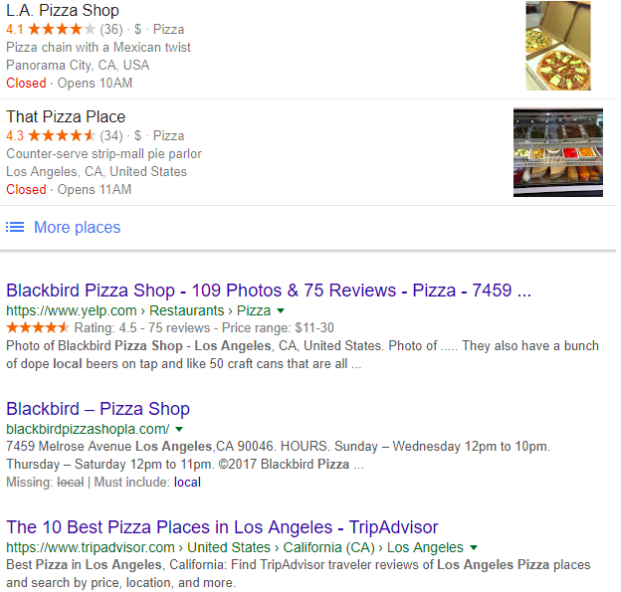 Before Google entered the business, there were other top websites for local businesses to promote themselves online, such as Yelp and BBB. Consistency in the data presented to your customers is important. Having the same information displayed on all websites and directories will prevent confusion for both the users and Google. Google My Business is not the only channel you can get your traffic from. 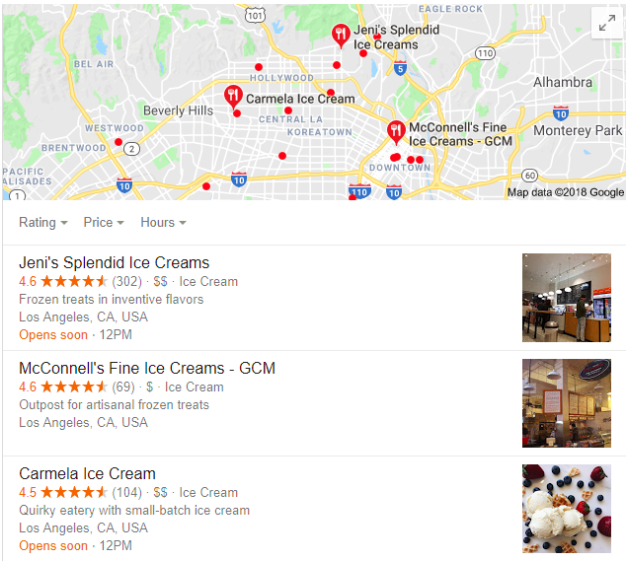 Organic results below Google Local Pack can have a big impact as well. In fact, organic results are still the results with highest CTR. But most of the time, local directories with business in the location and the niches come up.